Lake Forest is a town located in Lake County, Illinois that boasts a population of over 19,400 people. Part of the Chicago metropolitan area, Lake Forest is located along Lake Michigan and is part of the North Shore. Lake Forest has over 200 acres of parks, which makes it a popular area for outdoor activities. Nature enthusiasts take advantage of its 11 miles of bike trails and 20 miles of nature trails. One of the most popular parks in the city is Deerpath Community Park which comes equipped with a recreation center, a playground, ball fields, tennis courts, walking trails, and more. This town has experienced exceptional job growth over the years and continues to welcome new businesses and development. It is also home to several Fortune 500 companies such as Brunswik, Tenneco, Solo Cup, and Trustmark. 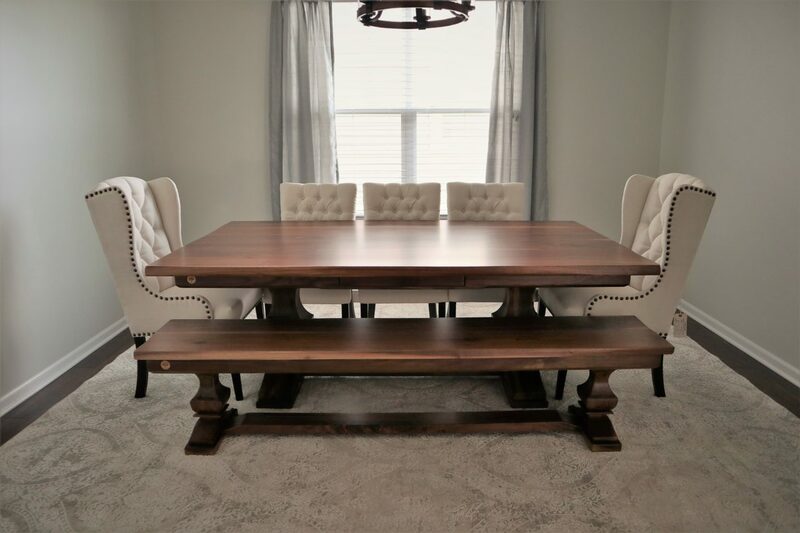 Rustic Elements Furniture is a Lake Forest custom furniture shop that’s located in Joliet. 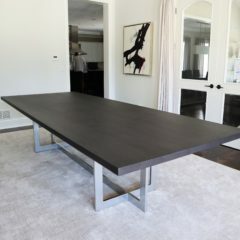 We specialize in building a variety of handmade wood furniture including benches, tables, chairs, media centers, and more. If you have a specific idea or style you wish to create, we can bring your vision to life! 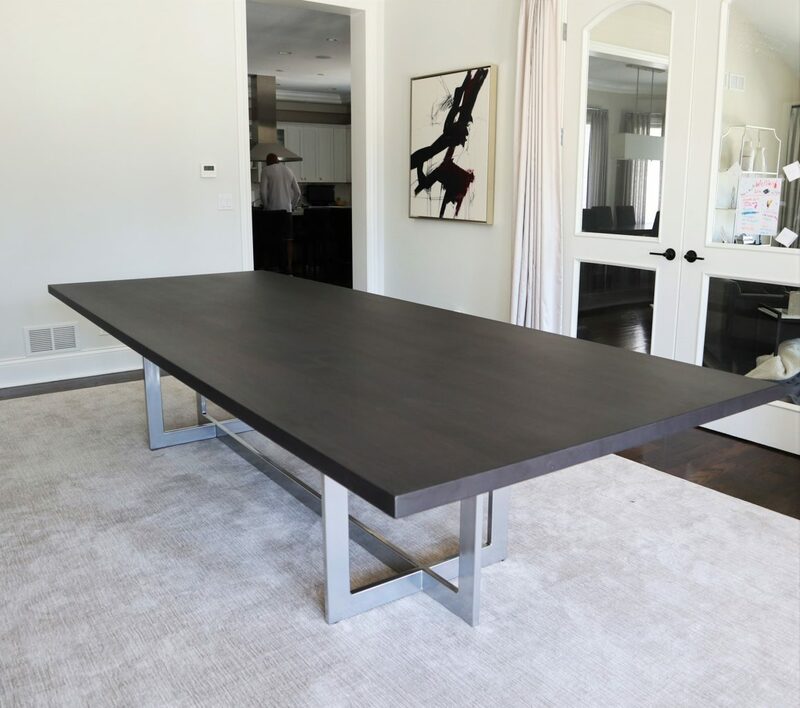 Customer satisfaction is important to us, and we work with you every step of the way to build a piece that reflects your desired taste and dimensions. We design our furniture with the highest-quality materials available that stand up to bleach, nail polish, and other harsh chemicals. 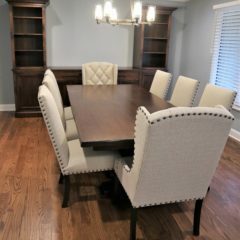 Although our showroom is located in Joliet, we build custom furniture for customers throughout the entire Chicagoland area. To make our customers’ lives easier, we also offer delivery and can deliver to any town or city in the U.S. 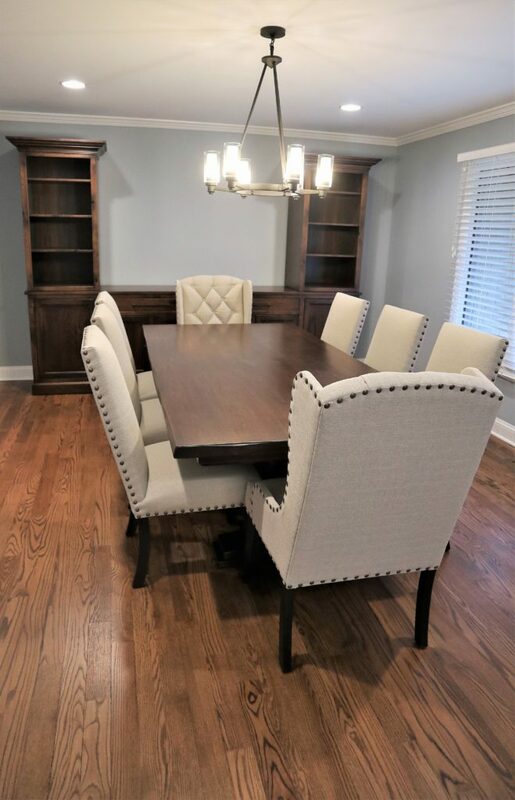 If you live in Forest Park and make a trip out to Joliet, feel free to stop by our showroom and take a look at some examples of our furniture! Our owner Scott will be happy to meet you and answer any questions you may have about our pieces. Also, feel free to browse our current inventory online to see all of the pieces we have available for immediate purchase. 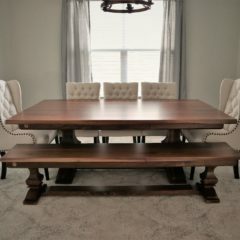 Contact Rustic Elements today to start designing your custom furniture!